America's leader in multifunctional, space-saving furniture. 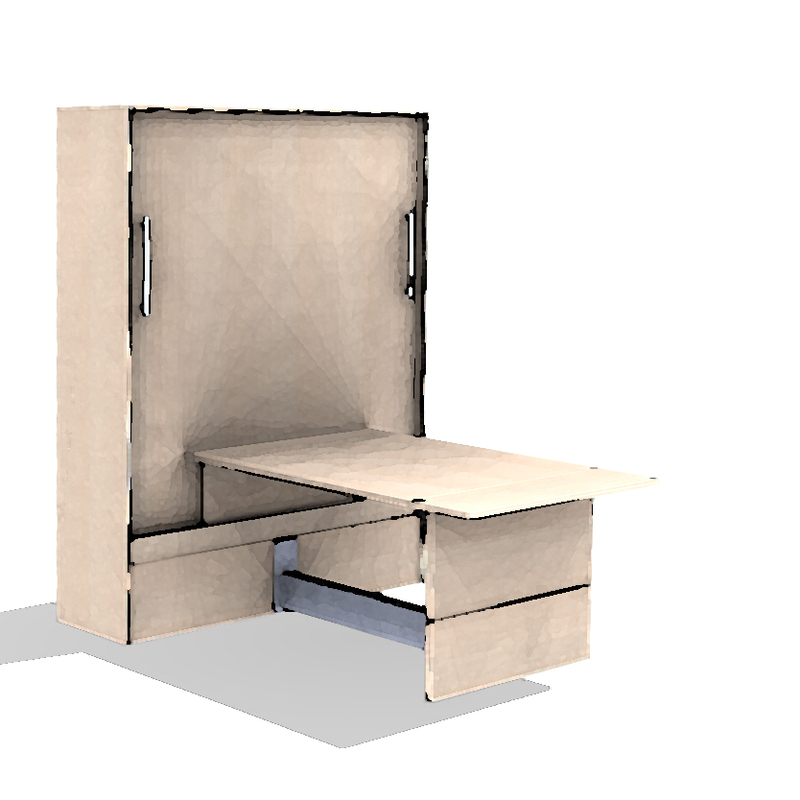 We are America’s leading innovator of multifunctional, space-saving furniture for the Hospitality, Contract, Multi-Family, Student Housing and Military markets. All of our products are designed to maximize the daytime and nighttime versatility, functionality, and livability of both small and large rooms. Inova’s products have been designed for use in multiple configurations, with no compromise on comfort. They are built to meet the high durability standards essential to hospitality and military settings and a level of both comfort and safety necessary in large family-oriented resorts and hotels. Our patented products are all made at our plant near Albany, NY using our best American ingenuity, technology, and craftsmanship. Inova Sofa-WallBeds transform from a stylish and comfortable sofa to an equally comfortable bed in seconds. 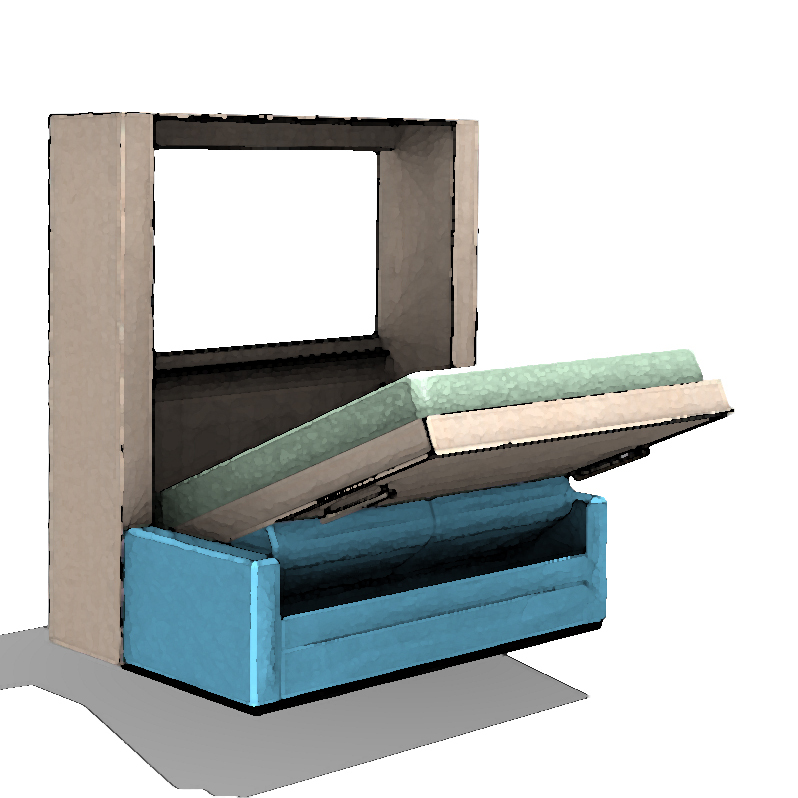 Our patented EasyMotion feature eliminates the need to remove and store sofa cushions. 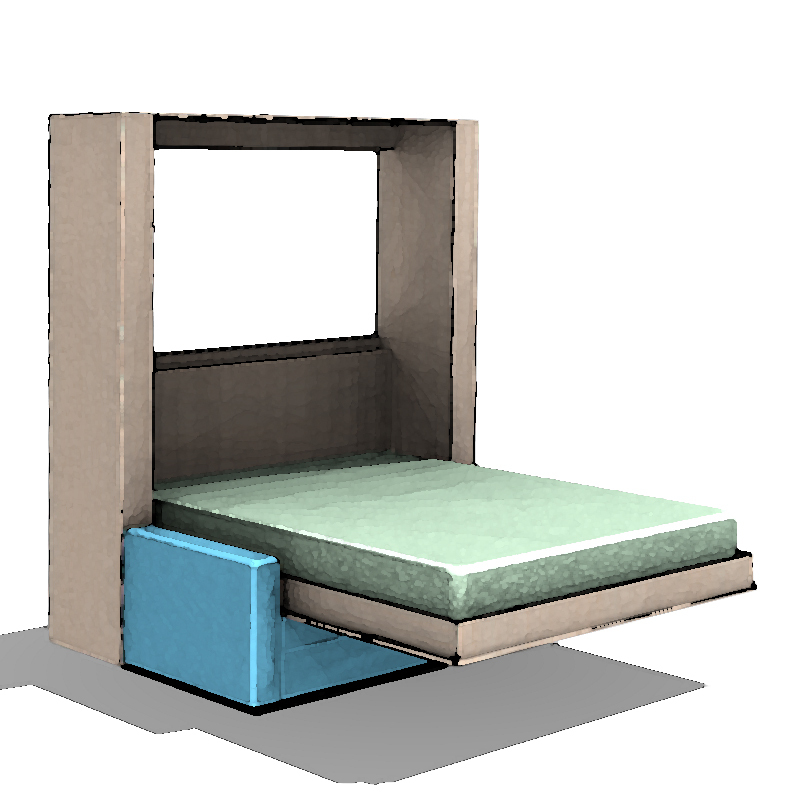 As the bed is lowered, the seat and back of the sofa automatically pivot and tuck under the structure as it transforms from sofa to bed. Inova TableBeds transform from a generous-size dining or work table to a comfortable bed in seconds. They are available in every size, from twin to King. Inova WallBeds offer the combined luxury of a wide, open space during the day and an uncompromisingly comfortable bed at night. Our cabinets open with an easy pull and are transformed into a bed in seconds. 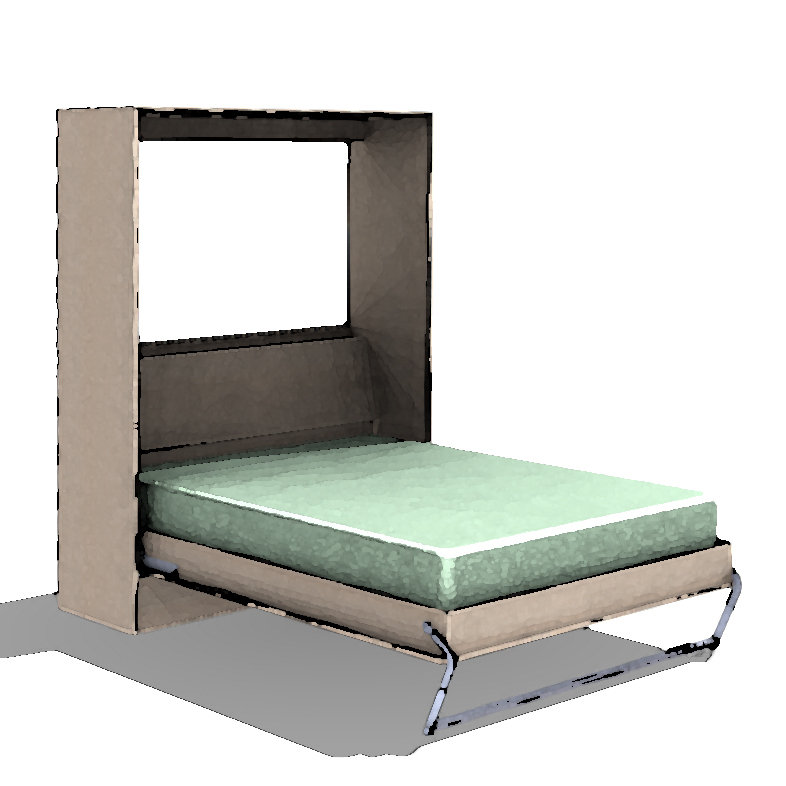 They are light to the touch and will hover safely if let go of midway while lowering the bed.